Did you know that visitors are welcome to come along to the fish market to observe what happens here? Did you know that we offer plenty of ways to learn more about fisheries in the UK, fisheries history in Plymouth and how to choose and buy your fish and seafood? 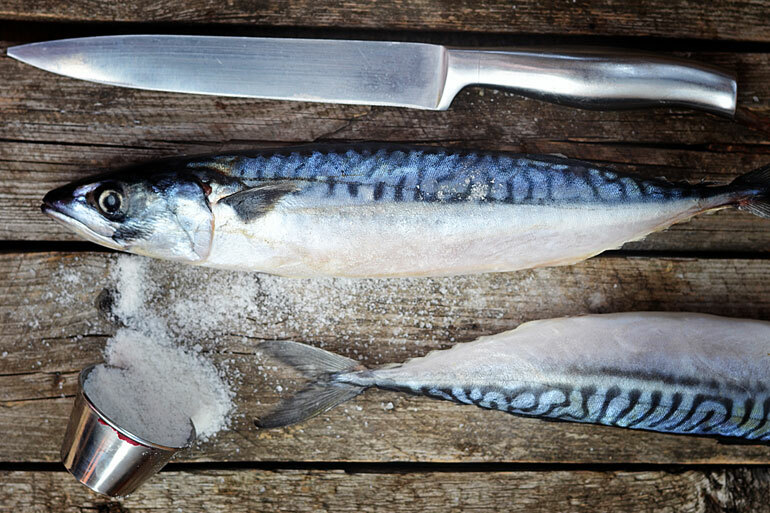 If you want to know in more detail where the seafood you eat and buy around the south west and the UK comes from and how it gets to your plate, then a behind the scenes tour of Sutton Harbour’s Plymouth Fisheries will have these questions answered and more. Plymouth Fisheries at Sutton Harbour is the second largest market by volume in England with a vast number of different types of fish landed. In any day up to 2,000 boxes (around 60 tonnes) of the freshest seafood are auctioned through our state of the art digital auction system to approximately 60 buyers. Every day is different here! Visitors are welcome to contact the Plymouth Fisheries Manager and Sutton Harbour Master, Pete Bromley, to request a guided tour. Or if you are feeling a little more exploratory you could take up a unique Sea to Plate adventure with our special F.I.S.H tour. The finest fish and chips! A happy fisher at Plymouth Fisheries. The F.I.S.H (Fish in Sutton Harbour) experience trail for food lovers explores the fisheries history and maritime heritage of the harbour and gives you the chance to observe how local fresh fish gets from sea to plate. You’ll also have the opportunity tackle the art of catching and cooking your own. Guests are guided around the fish market and auction, lifting the lid on the 20-minute chill chain, sustainability and why the South West industry is growing while others are in decline. After a walk around Sutton Harbour on the Harbour Heritage Trail, skipper Colin of Plymouth Boat Trips will explain navigational charts and discuss over a bacon buttie how the forecast is looking, before guests have the chance to fish in the historical waters of Plymouth Sound. The boat then returns to the Boathouse Café where there will be a lesson on how to prepare the fish, have a go and then eat it! For more information about the Graze & Flavour F.IS.H trails or to check the dates of the next tours, see our Sutton Harbour Experience page, or follow us on our social media pages. To taste our fish and sample some delicious fish and seafood dishes, why not visit some of the cafes and restaurants around Sutton Harbour, Plymouth Barbican and the waterfront? Did you know that the city of Plymouth has become the first city in the UK to achieve its Blue City Sustainable Seafood Award and we are delighted that most of the Sutton Harbour and Plymouth Barbican cafes and restaurants have contributed to its success. The Fish2fork Blue City award has been created to recognise and highlight communities that use seafood from sustainable sources; just over half of Plymouth’s restaurants have earned a blue fish rating from Fish2fork. For a guide to all the places to eat around Sutton Harbour, visit our Experience Sutton Harbour website. You can also apply for a Sutton Habour Experience Discount Card for at least 10% off most of the participating bars, restaurants and attractions. Nick has been a familiar face at Plymouth Fisheries for 18 years, having previously worked for Plymouth Trawler Agents, including overseeing floor operations and day-to-day business at the fish market. Nick was promoted to the position of Fisheries Manager at the start of 2017, bringing a wealth of crucial industry experience to the role, and he works to ensure the smooth day-to-day running of the fisheries complex. 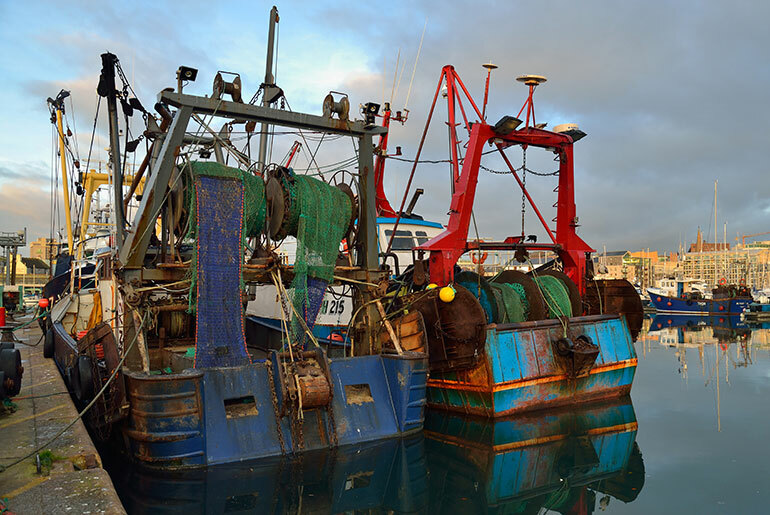 Nick works closely with fishermen and staff from Plymouth Trawler Agents to ensure a catch is unloaded from fishing boats as quickly and efficiently as possible, and aims to make Plymouth Fisheries the best place in the country to land and sell your catch. 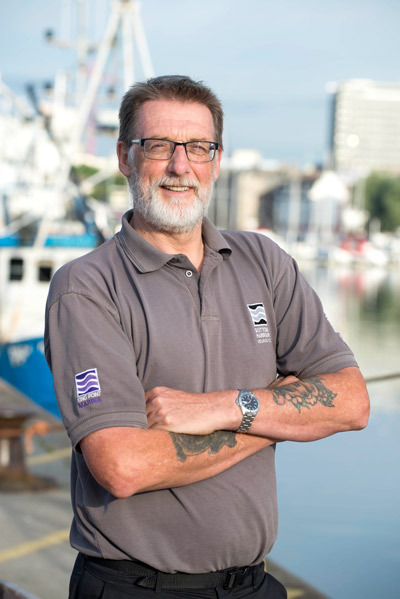 Joe is a former fisherman who has worked at Plymouth Fisheries for the last 12 years, and was promoted to the position of Lock and Wharf Manager in early 2017. Joe liaises closely with Plymouth Trawler Agents staff and manages vessels coming into Sutton Harbour through the lock gates. A crucial part of Joe’s role is to ensure good communications between the lock and the fisheries, making daily operations as easy as possible for everyone involved. With such a high number of boats making their way through Sutton Harbour lock each day, Joe’s role is vital to enable a well-run system of operations for visiting fishing vessels, as well as leisure marine traffic and other harbour users.